Microsoft’s Satya Nadella has made headlines since he’s taken the position of CEO, succeeding the resigned CEO, Steve Ballmer. He’s forward-thinking and generating return on the investments that Microsoft has worked so hard on, like Office365, the Surface Pro 3, and their new OneDrive storage. 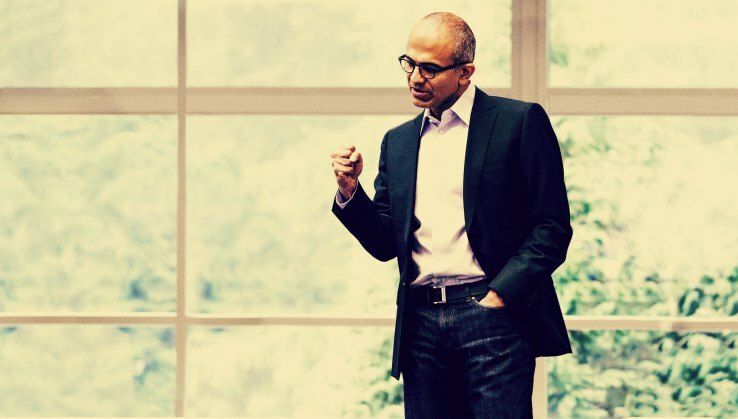 Nadella’s goals are for cloud-first and mobile-first strategies that Ballmer didn’t tread into. Unlike Ballmer, Nadella plans on putting Microsoft’s unique solutions within the reach of as many smartphone users as possible. Their own Surface Pro 3 has been making a comeback as well, and Microsoft’s low-cost smartphones are becoming more favorable in the market. Office365 is being released on both Andriod’s and Apple’s platform, in an effort to bring accessibility back for Microsoft. Android’s even looking forward to its mobile device available for emulator testing on the new Visual Studio 2015 so that developers can properly test for the most popular mobile platform on the market. Microsoft has since teamed up with Salesforce.com and Dropbox to bring Office365 and other Microsoft services to the consumers. Microsoft’s new “freemium” strategy to drive revenue for the company by offering OneDrive storage, Office Online and Windows upgrades, to encourage people to sign up for more, paid storage and buy Office 365 while continuing to purchase new PCs to continue to drive Windows Store revenue.